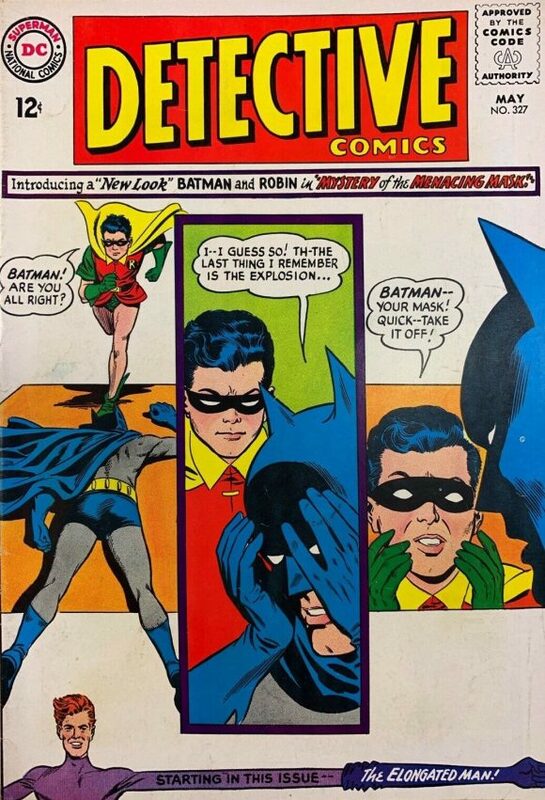 Perhaps it was editor Julius Schwartz who made the call to “modernize” the logo to coincide with the “New Look” in 1964 and once the precedent was set, the publisher opted to keep going with a series of different approaches over the decades. I just don’t know. 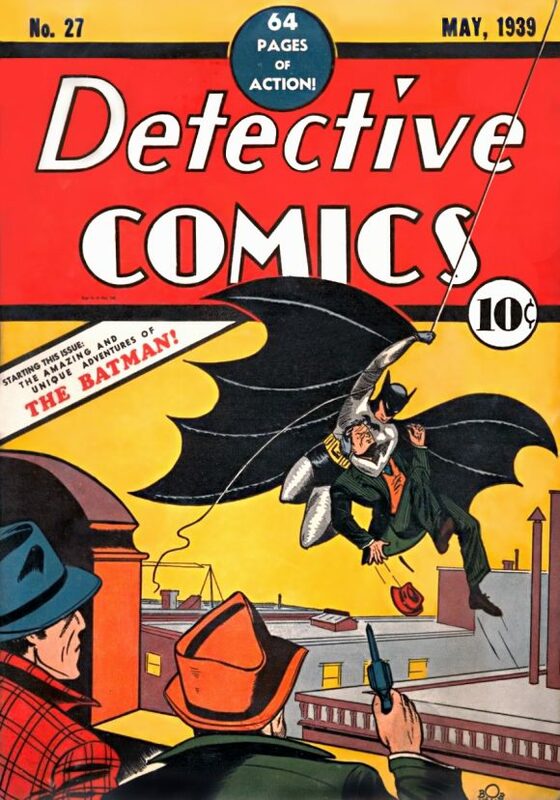 Bottom line, though, is that the classic Golden Age Detective Comics logo is still the best the company’s ever produced – a lettering scheme that’s both elegant and, given its history, evocative of Batman himself. 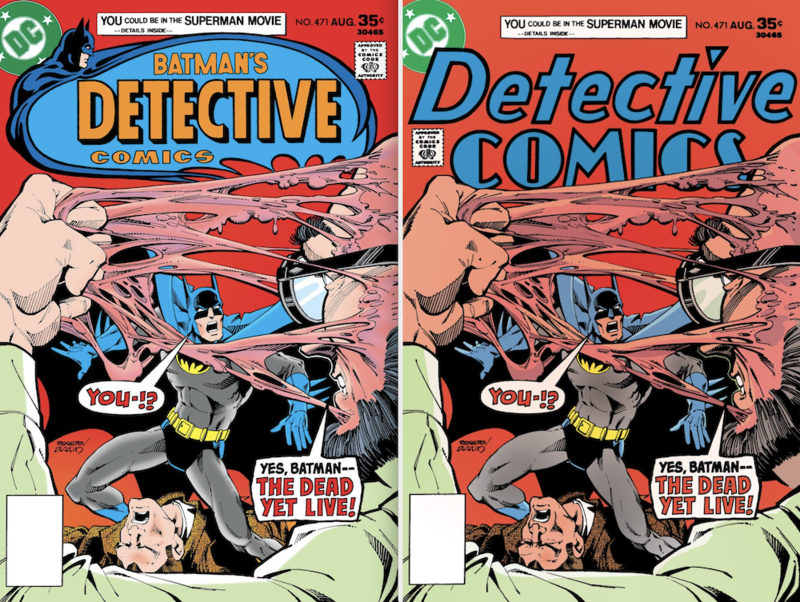 Virtually every cover it adorns is improved by it – so much so that artist Sandy Jarrell decided to take a series of marvelous covers by Marshall Rogers (and inker Terry Austin) and improve them by using the old logo in place of the one in use in the late ’70s. Man, oh, man, is that beautiful. I think Sandy actually has a portal to Earth-Two, by the way. Because remember this? 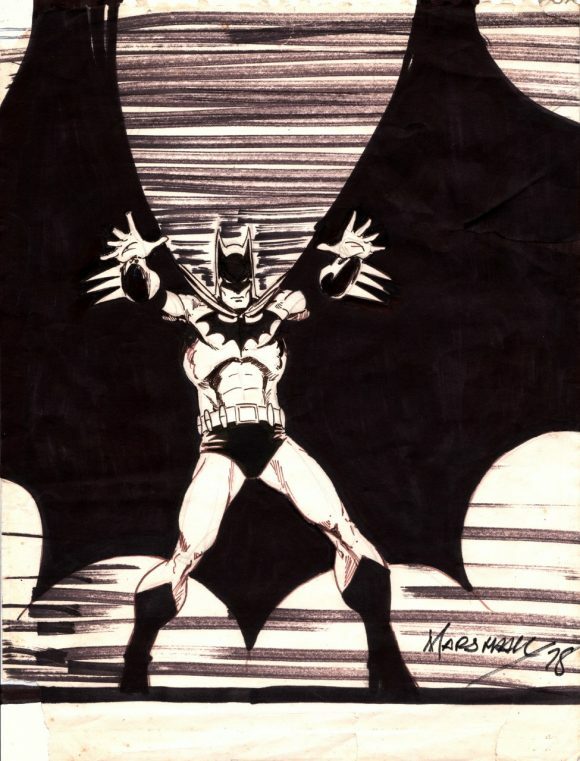 It’s a commission from more than 40 years ago. 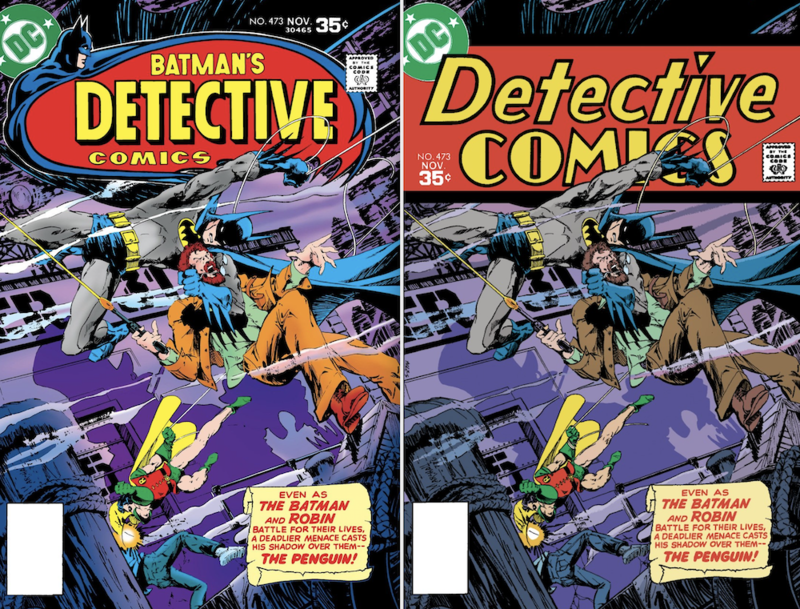 Plus, we asked 13 top artists – including Neal Adams, Bill Sienkiewicz and Dave Gibbons — to pick their fave Detective covers. Sandy was among the crew and you can find all their selections by clicking here. 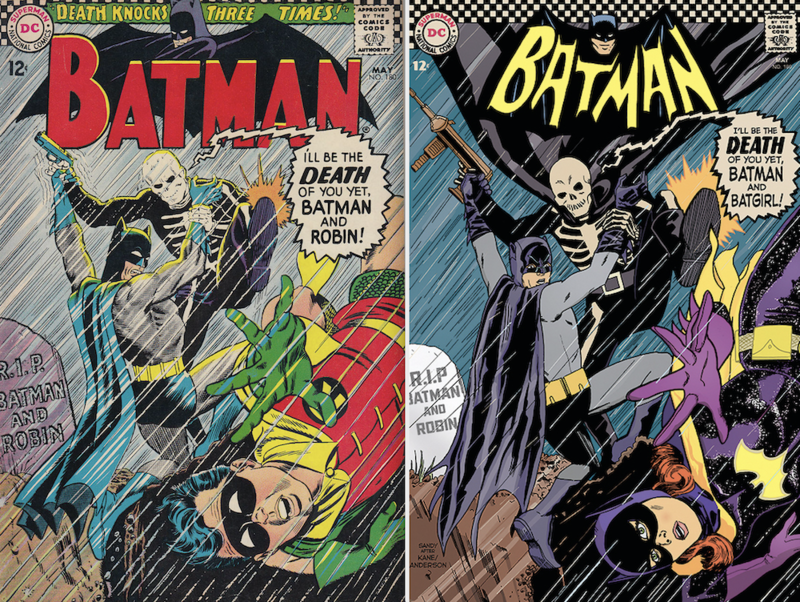 In addition, Kelley Jones has written a lovely tribute to Rogers and you can click here for that. Lots of gorgeous art highlighted by the people who would know best. Meanwhile, I’ve got my fingers crossed that someday soon we’ll be able to do a sequel to this post. 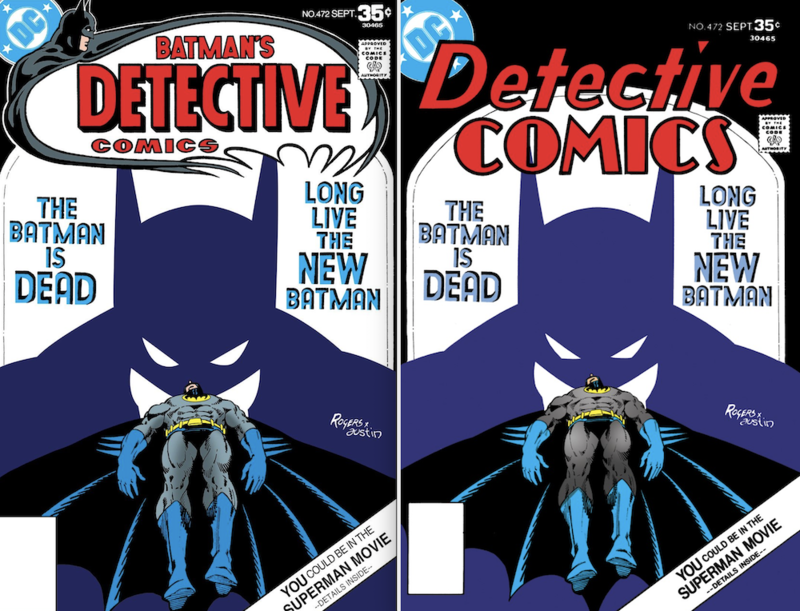 One major complaint I had was that DC kept changing both the Detective Comics AND Batman logos too much over the years. I too think the original is THE BEST and never should have changed. I’m glad they brought it back in the mid-70s for a while. 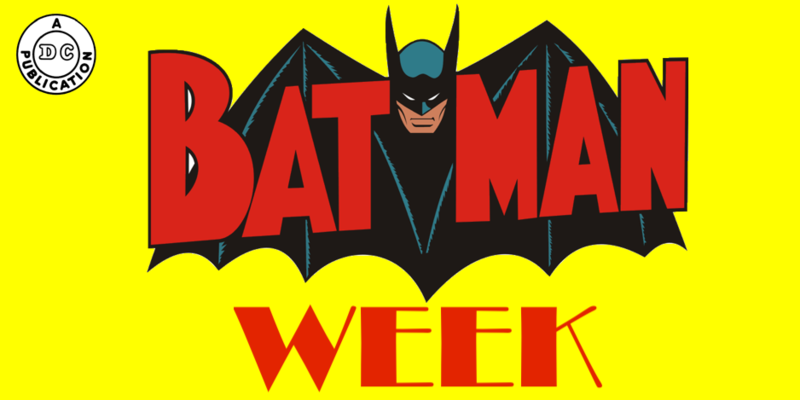 And I had a beef with the Batman logo without a bat figure or at least symbol behind it as it was sometimes done. Yuck. I WISH they’d just keep the same logos; minor variations wouyd be okay. AND I’m SICK of constant new #1 issues!!! There’s something to be said for tradition!